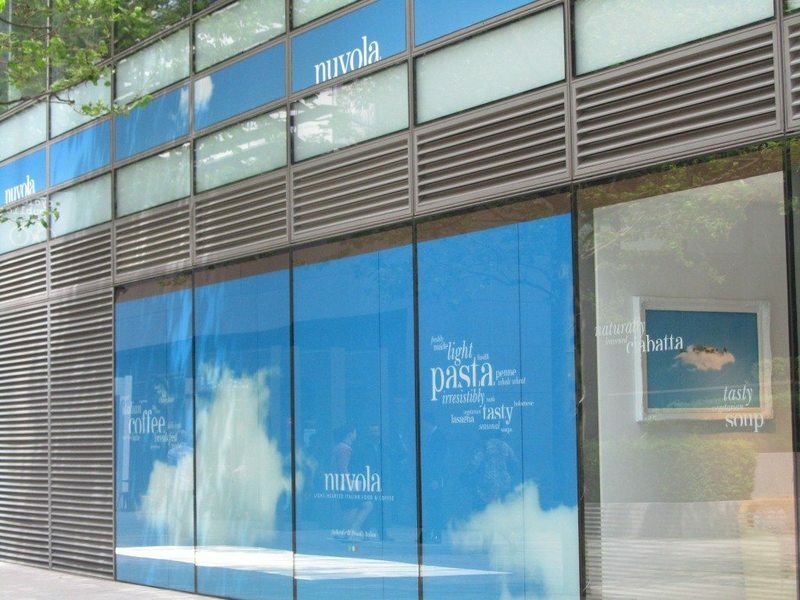 Nuvola has many quotes on its white washed walls and one of them states “a careful balance between authentic Italian heritage, healthy lightness and impeccably good taste”. There is a sky blue theme running through the decor of this cafe. 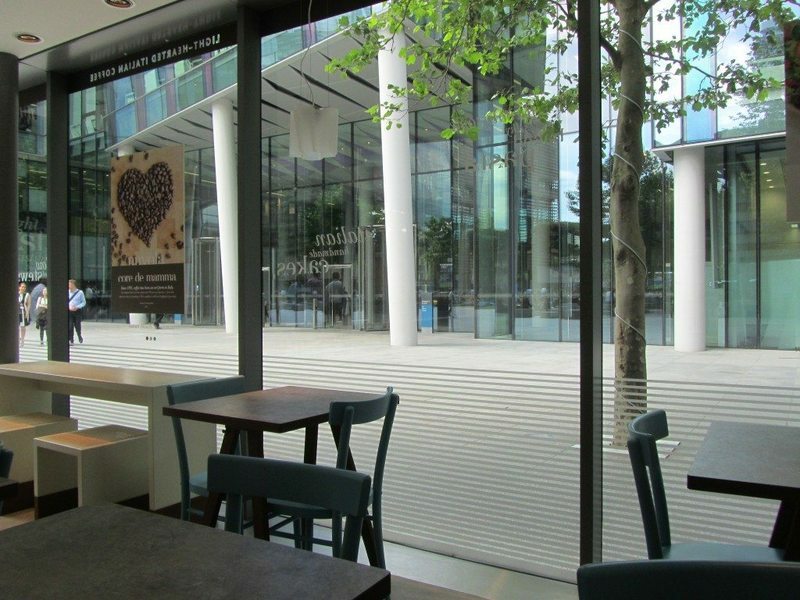 As there are big windows with wicker stools so that you can watch the world go by, there is no need for much additional lighting. A ladder holding magazines and papers is by the cute sofa area. 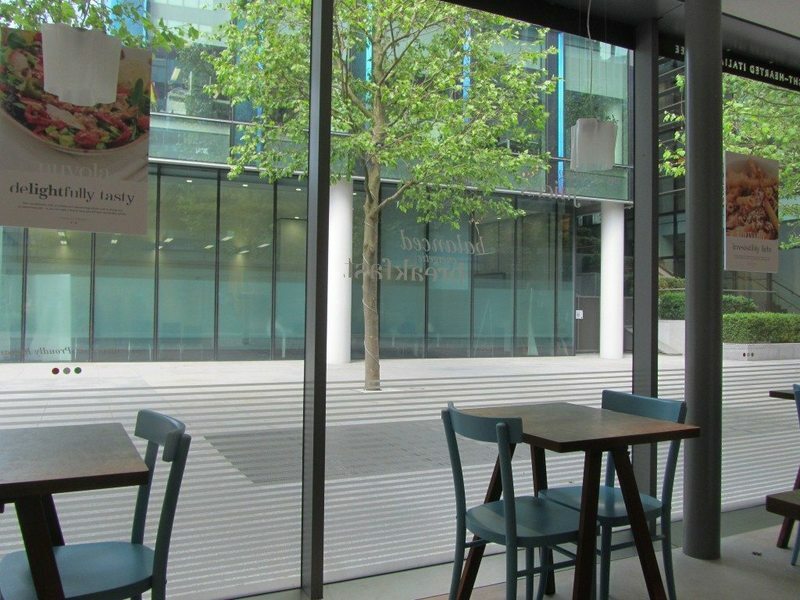 A few outdoor seats are available but there is also plenty of seating in Regent’s Place. 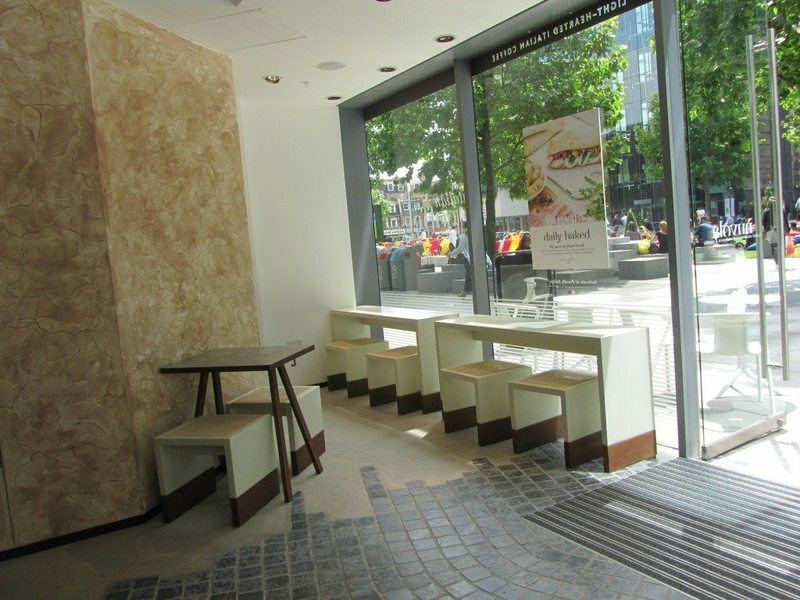 The seating area is sectioned off from the ordering and queuing area by a wall. A basket at the front entrance contains all the cutlery and napkins. The kitchen is located behind the main counter. An open fridge has sandwiches, salads, cold drinks and fruit to grab and go. Cakes are displayed in the covered counter by the tills. 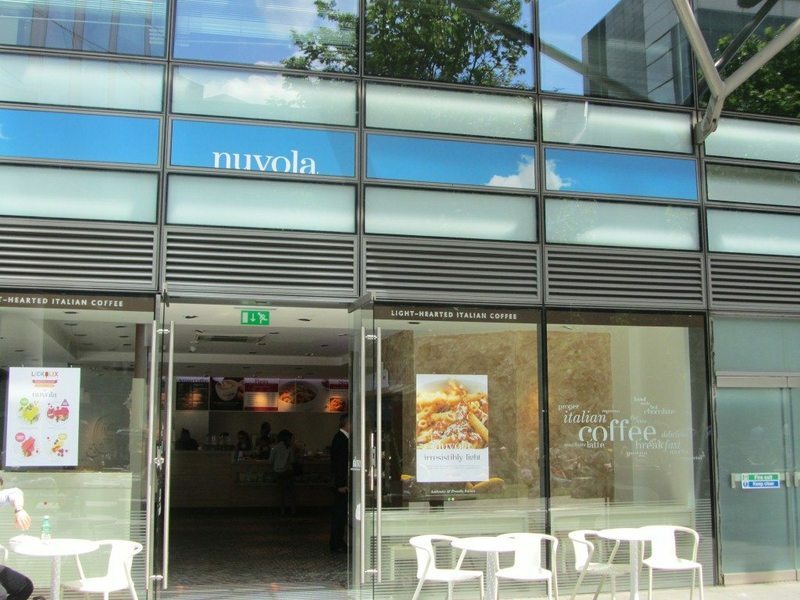 There are three pasta choices on Nuvola’s menu: fusilli, classic penne and wholemeal penne as well as stews. 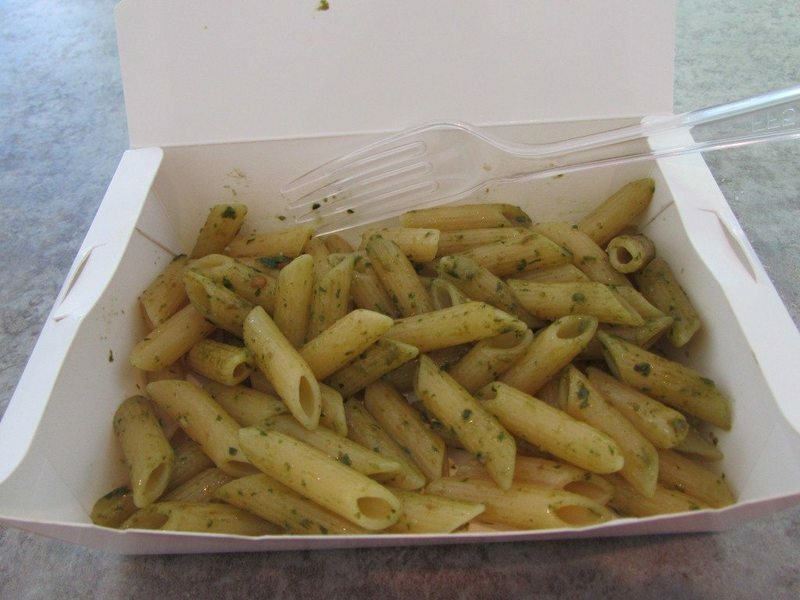 The Pesto Genovese penne pasta was given in a takeaway box. There was only a light coating of the pesto on the pasta so it lacked flavour. The penne pasta was cooked al dente. As the food was given in a takeaway box, it’s nice that you can decide later whether you want to stay in and eat or eat it out. Once the lunchtime rush was over, you could hear the lovely Italian music playing in the background. The staff kept the place clean and tidy. Nuvola has plenty of interesting drinks on offer. There are artisan coffees, fresh ginger or mint tea, red espresso which is made with rooibos tea and they also do real hot chocolate available in milk or dark. 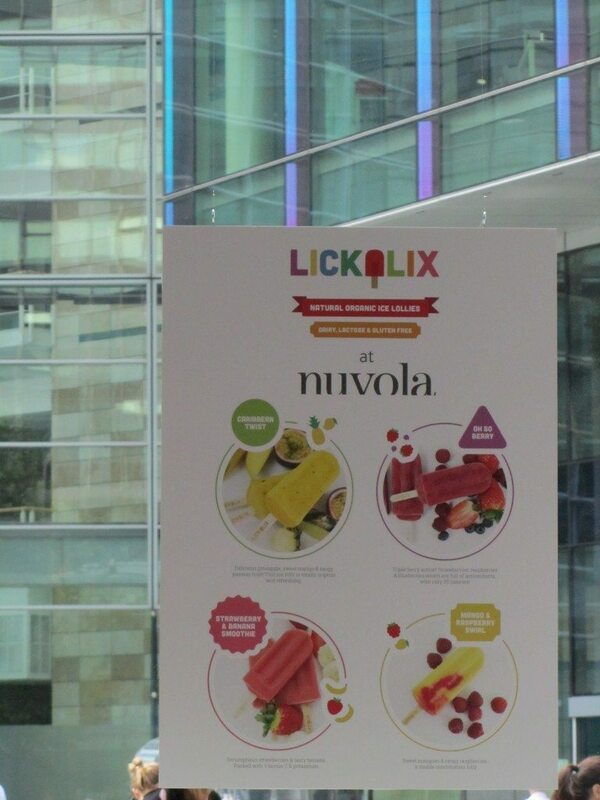 Lickalix ice lollies are stocked here too if you wanted to have a pure fruit ice lolly.